Summary: This is a very pleasant and easy walk for all the family, for young and for the not so young which takes in the delights of Beverley Town Centre and the wonderful open free pasture of Beverley Westwood. 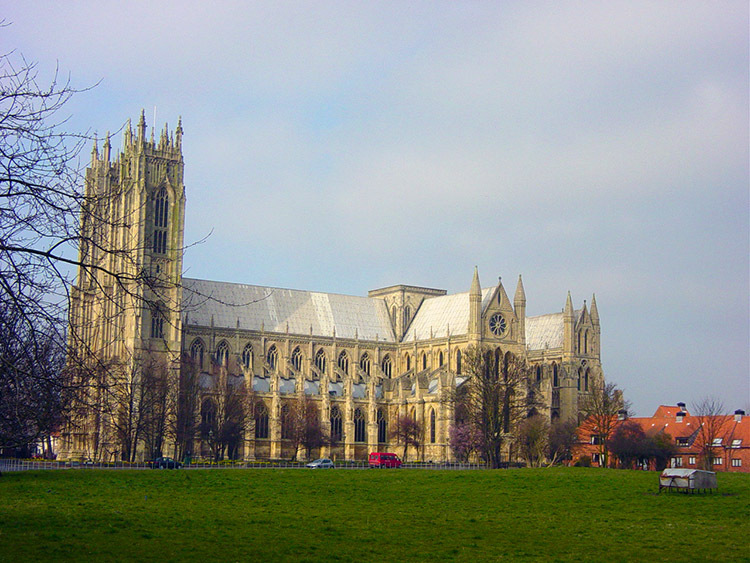 The walk starts from the magnificent grounds of Beverley Minster, a fantastic starting point for a fantastic walk suitable for all. This is a delightful walk which I did many times during as wonderful three years living in Beverley while I was a Lecturer at Bishop Burton College. On one occasion I took the walk for some peace and quiet and there was a really regal reason for doing so which I'll come to further on the walk. 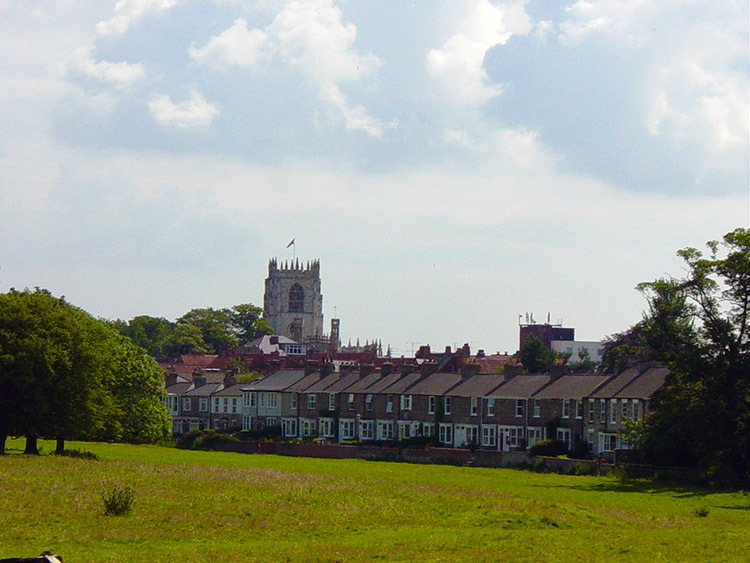 I started the walk from outside Beverley Minster on a gloriously sunny summers day. Setting out at mid morning there were already many people milling around town, some on their daily routine and many others on a special day out. 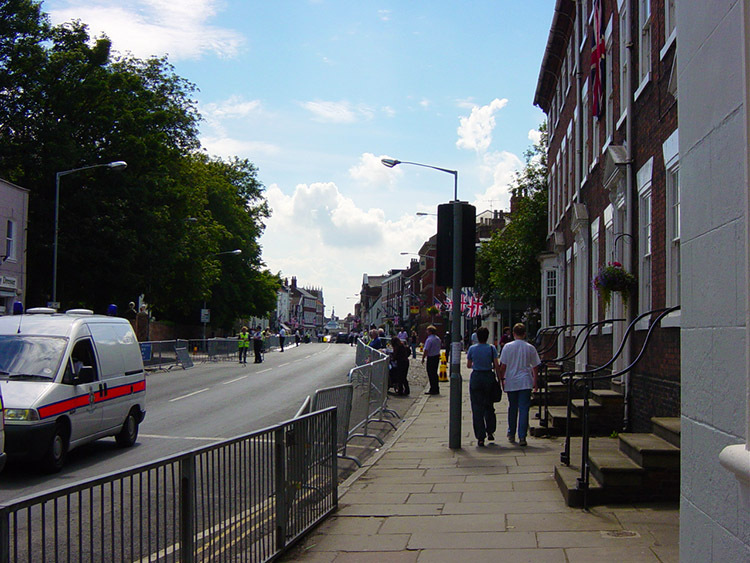 It was indeed a special day in Beverley and I temporarily left town as I strode out along the street of Keldgate past cottages and larger houses and carefully crossed the road at Queensgate to soon find myself out of the urban and suddenly in the rural just after the Royal Oak pub. 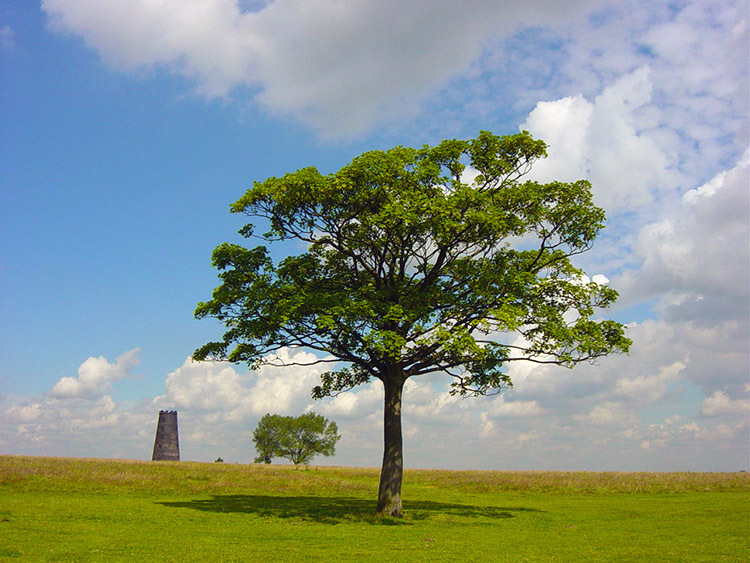 I had emerged onto the Westwood, a generous tract of free pasture bequeathed to the town. 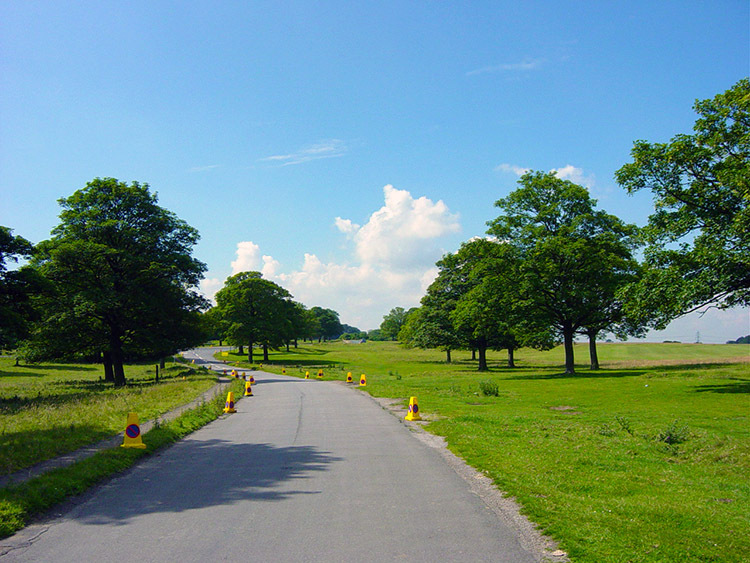 The Westwood is an open space on the west edge of Beverley; it being an ideal place for families to enjoy many activities on the lush green pastures. 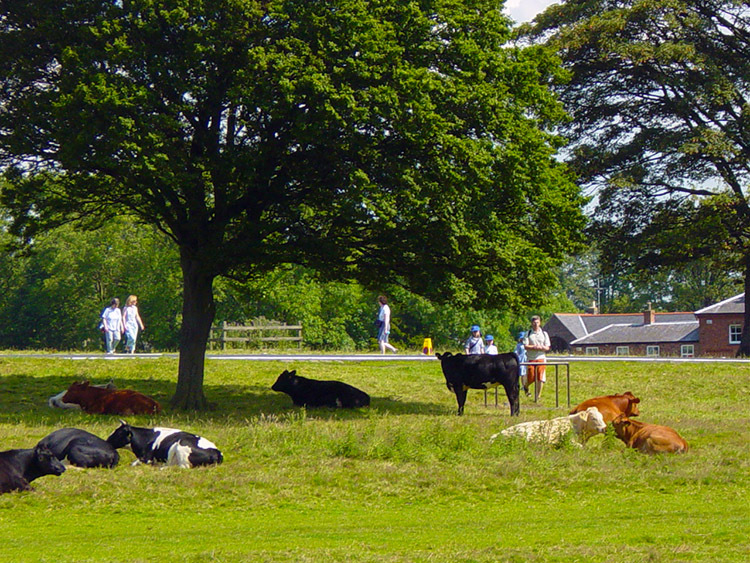 As is their right Cattle and Sheep roam freely grazing on the pastures throughout the summer months. However, I was not to find the grazing guests yet, not until I had completed a tour of the Westwood. 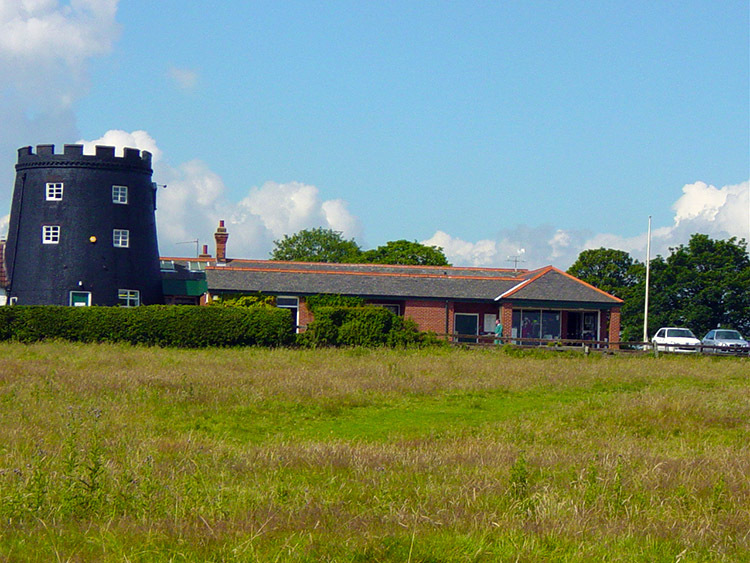 My attention was first taken by the old windmill which forms part of Beverley Golf Clubhouse. I veered away from the road taking me to the clubhouse though and crossed Keldgate Road to head up the easy ground and on the fringes of the golf course towards the imposing and remote old Blackmill. Don't worry being on the golf course too much, it is right to roam land, just avoid the balls and interrupting the gentle tranquility of the players enjoying the game. From Blackmill I took a course to a copse in the northwest corner of the Westwood. 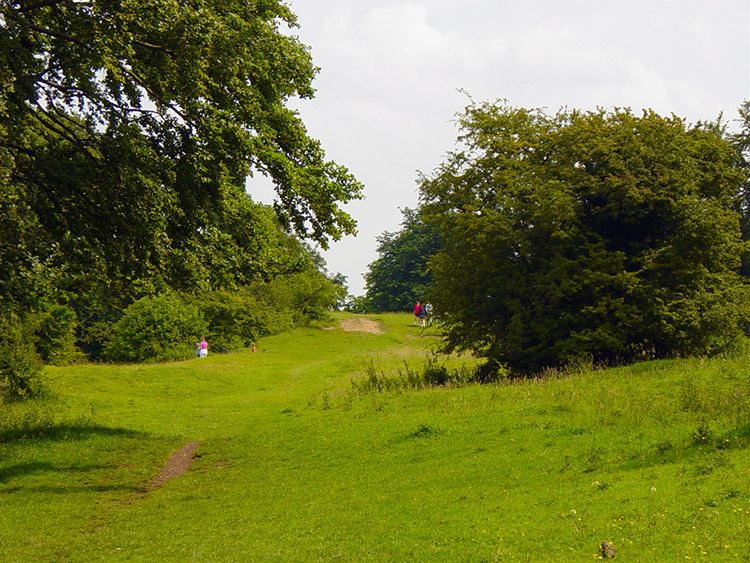 The copse is called Burton Bushes, a lovely place and no doubt a site of fun for children throughout the history of Beverley. 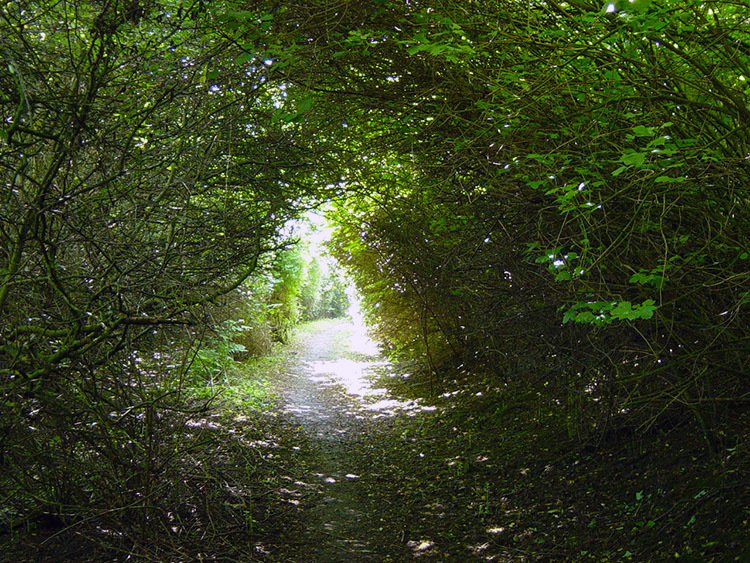 Following a clear track through Burton Bushes I emerged out near Burton Gate House and near Beverley Racecourse. It was a race day but despite the preparations on the course it was quiet, all the activity was in the town. I took advantage of the lack of crowds and lack of attention to enjoy a leisurely stroll along the Westwood towards the town. It was surreal, it was lunchtime on a Friday and not even a car on the road. I revelled in the peace as I walked down from the racecourse and approached buildings on the side of York Road and the cottages of Willow Grove opposite. I was nearing the end of my Westwood wander and as I neared the buildings I saw activity, the first since the beginning of the walk at the Minster. As I neared Willow Grove the scene was one of peace and calm. Some people, the first I had seen on the Westwood; which was uncanny in itself for it is usually bustling with families and couples; were strolling around and a herd of cows were sunbathing, others were resting in shade under the trees. Despite the people and the cattle though it was still eerily quiet as I wandered past them and into town. Only then as I left the Westwood and turned right into North Bar Within did the noise and bustle come penetrating into my world. Passing St Mary's Church and Beverley Hotel the sound increased appreciably. 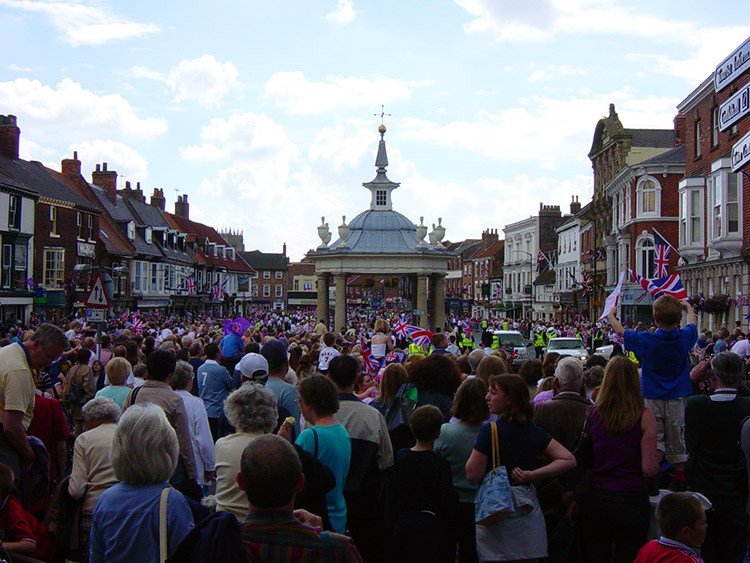 Crowds were about in the town centre, suddenly could not go further. Too many people and police barriers blocked my way. It was mayhem, I could not even finish my walk properly by getting back to Beverley Minster. I knew as much though; that I could not complete. The reason for my walk? The reason I had such a brilliant day walking on the fantastic Westwood. Simple... it was Golden Jubilee Day and the Queen was in town! !